Hello all, my first post on this forum. My first post since 15+ years on any forum... The Arena made me post this. this week I purchased a Gottlieb Arena that hadn't been powered on for a long time. During the purchase we decided to try our luck and powered on the Arena. The main fuse of the house went click and no more electricity. Arrived at home I first checked the fuses, all test ok with DMM. Power supply diode bridges test OK.
5 volt has been set to 5.03 at prom 1. The first few times I started the Arena the displays turned on, I got sound and a few lights flashed and solenoids clicked. The displays showed nothing meaningful, zeros mixed with '-' and spaces. There was battery leakage so I removed the old Varta and cleaned the surrounding area. The reset board has been disconnected and the resistor on the reset board connector soldered on the back of the MPU (as described on PinWiki). After cleaning I get almost nothing. No more displays, sometimes at boot it wil beep for 1/2 second in repeat. Sometimes 1 continuous beep, and when I get lucky I get the startup sound. U4 gets really hot (also when only the MPU is connected), I read on this forum that it could explain the boot process not completing. I will replace U4, U5 and U6 just to be sure. The main reason for this post is the modification that has been done to the MPU. On PinWiki I found a paragraph under Gottlieb System 80 B about "Using a 2732 at the PROM2 position in a System 80B MPU". It looks like this mod has been applied, but not completely. 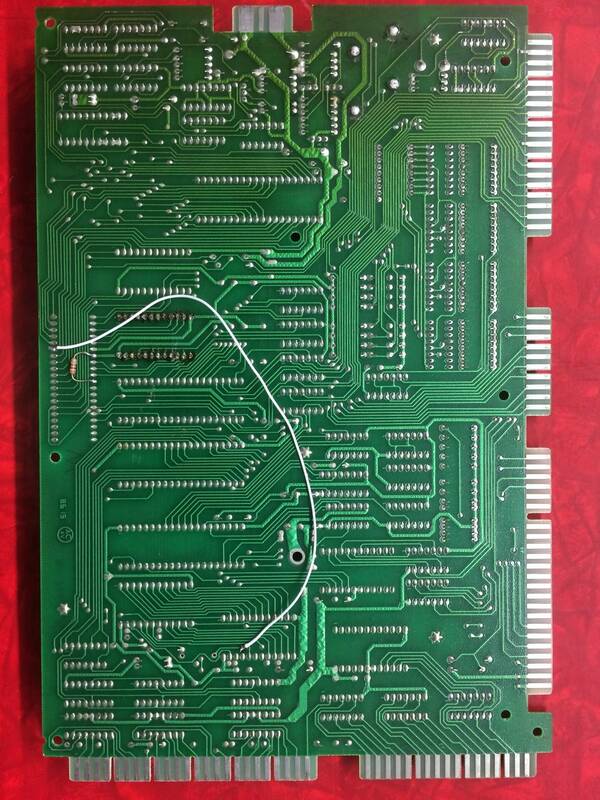 The jumper from TC1, pin 35 to the right solder pad of the cut trace is in place. 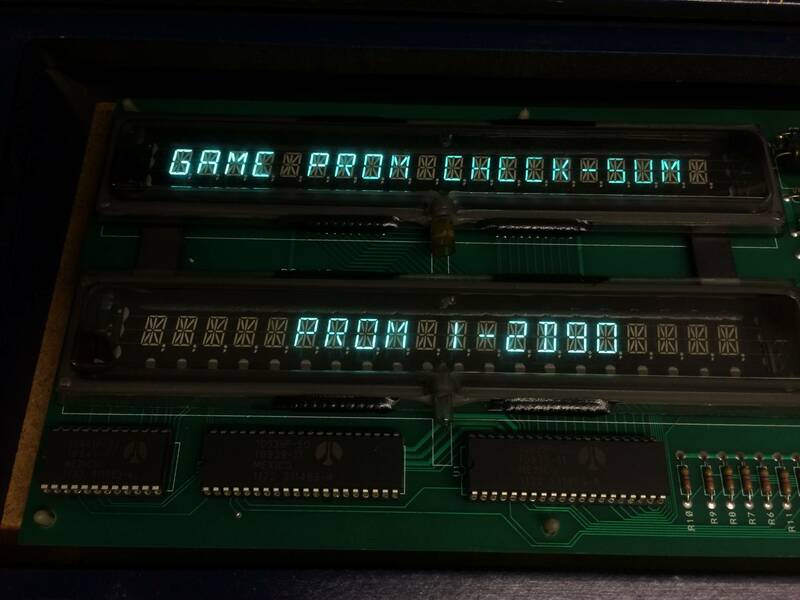 But jumper E4 has not been removed and the board is still equipped with a 2516 PROM (2516 Texas Instruments is equal to an other brand 2716). According to the service manual 2716 PROM 2 is correct. So why this jumper from TC1, pin 35? Is it a factory modification? Has anybody seen this before on a System 80 B? I ordered new RIOTs for U4 5 and 6, will try again after they have been replaced. pictures showing the mod attached. Looking forward to hearing from you, Phil. It’s possible that someone used a MPU from another game that required the 2732. I’d leave the mod and double a ROM with Arena code. Be sure that your cleanup in the reset section is working. I normally use a modern reset generator as documented in the PinWiki. The daughter card solder joints are problematic sometimes. Removal of the daughter card without damaging traces is not for the beginner. Do not remove or connect the display with power on. This will damage the MOu board. But, that kind of display needs every connection working or it will display nothing. The daughter card had been re-soldered to the MPU . The solder work looks awful, I will clean it up a bit. You're right. 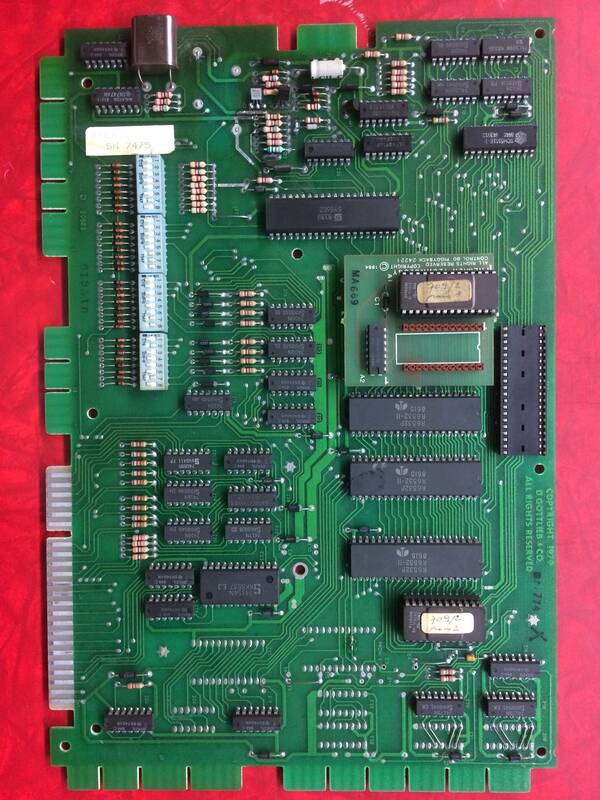 Should the board eventually boot (I really really hope so) I will look into the reset modification. I wonder what it's like while the game is running and the reset generator kicks in. I did disconnect the display while power was on. It's only after my mistake I read this was a bad idea, too late. If U5 took the punch during the disconnect I should be good after replacing it. The two highest mounted caps on the display board look burned. Thanks for your ideas, I'll get right on it. It's the "hard to find" 7448s that take the brunt of the punishment when displays are connected/disconnected with power on. Sometimes the upstream 74175 and/or 7404. I made some progress. (taken in account the hours invested not so much ) Displays are back, the lights flash and every minute or so I get treated with the Arena light and solenoid show. When turning on, the displays show zeroes, there is no sound and I can get into test mode. The test that interested me the most is the memory check. The test stops after testing PROM1. PROM2 will not show a checksum. If I remove PROM2 the error "PROM2 missing" is shown... So PROM2 must be doing something? I have a spare 2716 PROM, but I have no UV light source to erase it. Now, dont forget to do the ground mod on it ASAP, it was the first thing i did on my Arena.